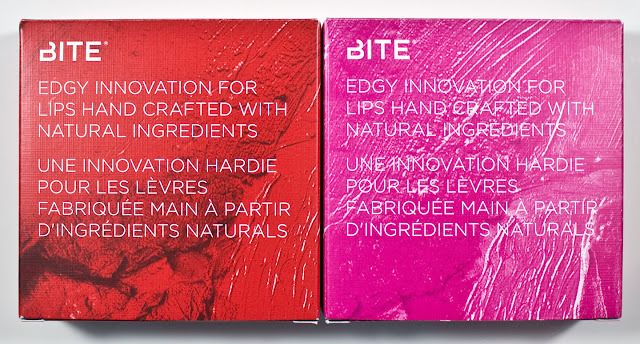 Bite Beauty Luminous Crème Lipstick and Lush Fruit Lip Gloss in Mimosa & Bellini. Bite Beauty has started to launched Limited Edition shades in their classic Luminous Crème Lipstick line. 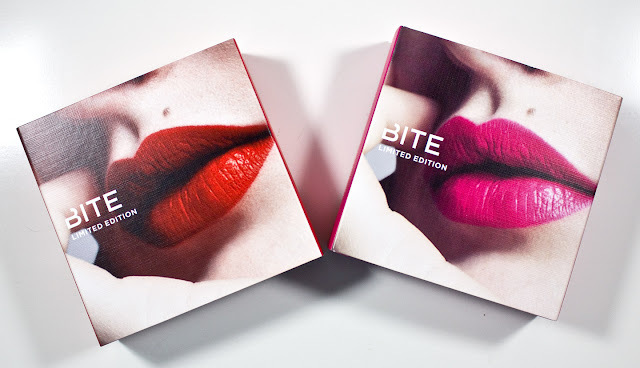 There are 3 so far but in a teaser of the launch Sephora was offering these 250 point perk bundles to BI to try out more of the line. This set includes a button punch mirror, a mini of the Luminous Crème Lipstick and Lush Fruit Lip Gloss in the shades Mimosa & Bellini. 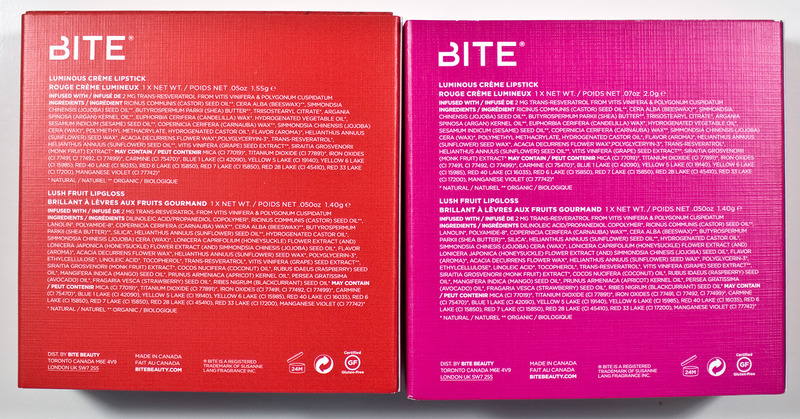 The Bite Beauty Luminous Crème Lipsticks retails for $24US or $28CAN for 0.13 oz of product at full size. 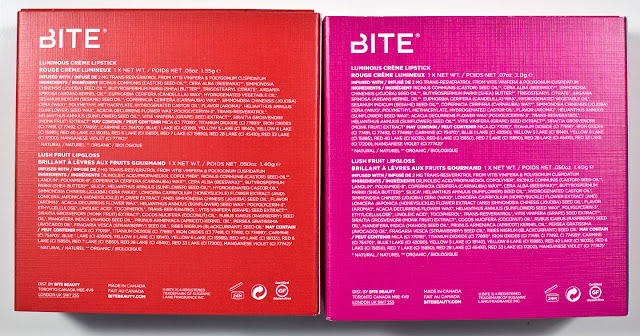 The Bite Beauty Lush Fruit Lip Gloss retails for $22US and $25CAN for 0.11 oz of product at full size. 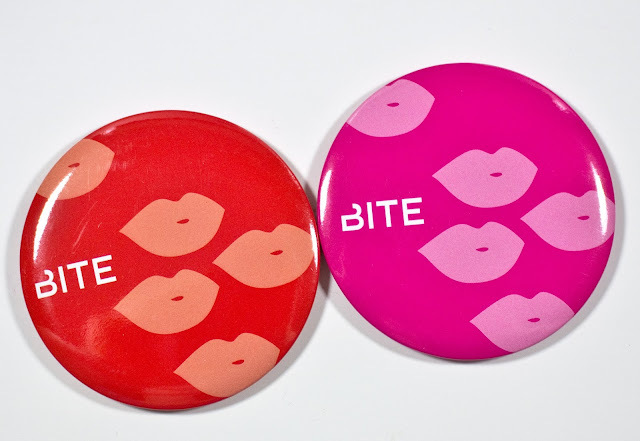 Bite Beauty Mimosa & Bellini pocket mirrors. Product: Both of these shades are rather opaque but cream feeling on the lips. Bellini settled slightly into my lip lines but it was barely noticeable in person. Mimosa lip gloss is a is a blue based red with a slightly sheer finish. Bellini lip gloss is a mid tone pink with a semi-sheer finish. 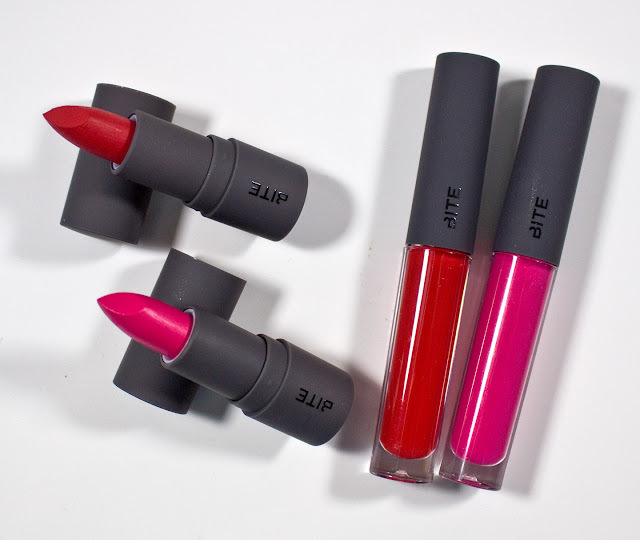 Wear: Close to 5 to 6 hours wear for these lipsticks. The glosses lasted 3 hous on there own which is a long time for me. The lip Gloss also has the same rubberized handle at the top. 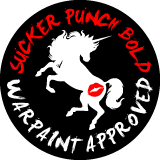 The doe foot applicator was also curved and thin making it easier to apply on the lips (It reminded me of Jeffree Stars doe foot applicator). The press button style mirror was actually well made with a metal shell crimped around a mirror instead of a pin. Because of this it was also light weight as well. Ir's only at 1X magnification but it's large enough to see and eye and just your lips in it for touch ups. Luminous Crème Lipstick and Lush Fruit Lip Gloss in Bellini together. 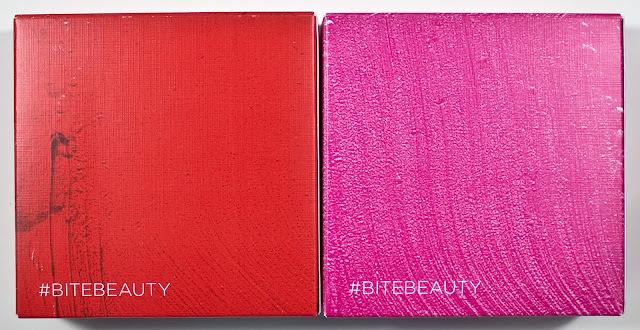 Luminous Crème Lipstick and Lush Fruit Lip Gloss in Mimosa together. 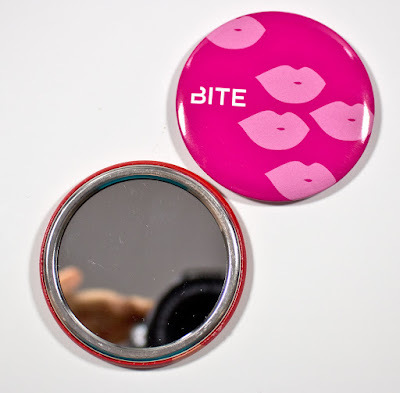 Bonus though was the cheap press button style mirror because they are relatively cheap swag item and light weight I've been keep on in my purse without have to worry about it getting beaten up and it doesn't add any more weight to a rather full purse I have already.